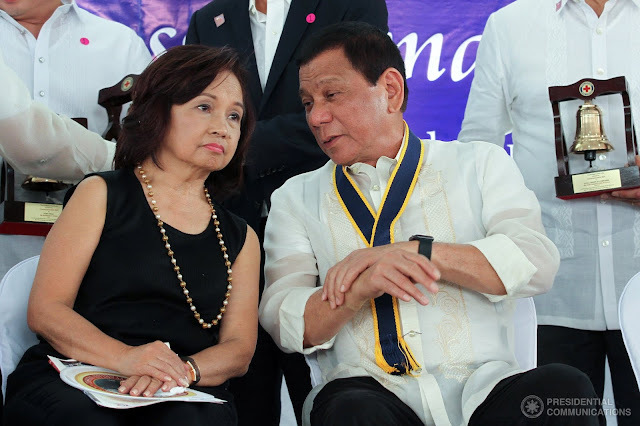 Home / News / Arroyo thanks colleagues, vows support to Duterte: “I will endeavor to carry out the legislative agenda of PRRD"
Arroyo thanks colleagues, vows support to Duterte: “I will endeavor to carry out the legislative agenda of PRRD"
The scene caused quite a stir as moments before President Rodrigo Duterte delivered his third State of the Nation Address (SONA), Pampanga Representative Gloria Arroyo replaced Davao del Norte Representative Pantaleon Alvarez as House Speaker of the administration. The SONA was delayed for over an hour as Duterte held separate meetings with the two representatives vying for Speakership. Despite the controversial takeover, Arroyo is proud to announce that she is well supported by her fellows in Congress. “I am extremely honored to have been supported by my colleagues at the House of Representatives to be their new Speaker,” she said. During a special session, 184 out of 238 House members voted for Arroyo’s ascension to Speakership, while 12 abstained. Arroyo has evidently shown support for the President being a member of Partido Demokratiko Pilipino – Lakas ng Bayan (PDP LABAN). "My joining the PDP-Laban is to consolidate support for the President. It is a matter of course as we have been talking about this for quite sometime," Arroyo said before. 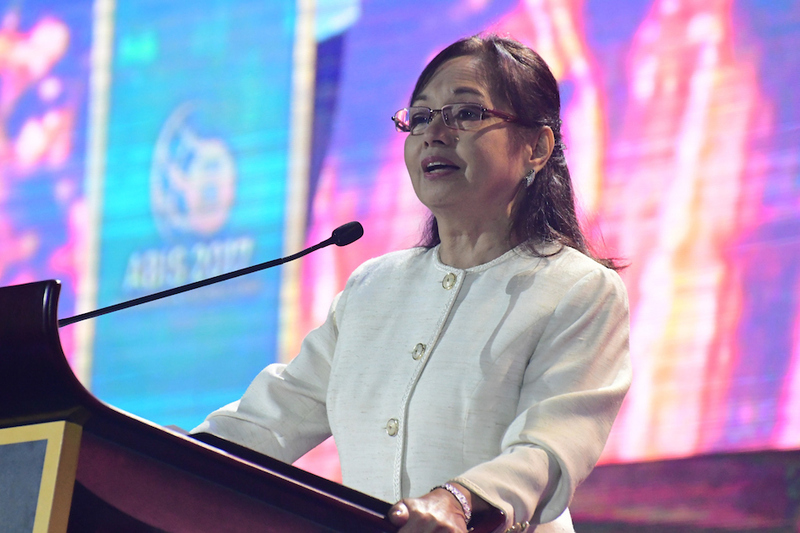 Now that she is the House Speaker, Arroyo relays her intention to support the President’s legislative agenda. “I will endeavor to carry out the legislative agenda of President Rodrigo Duterte in the Lower House,” the Pampanga Representative said. Duterte emphasized during his SONA that he urges Congress to focus on constitutional reform, end of contractualization, implement the second package of the government’s tax reform program, rice tarrification, National Land Use Policy bill, creation of a disaster relief department, Coconut Levy Trust Fund, and universal healthcare. Alvarez was still the House Speaker during Duterte’s SONA, having seated at the left chair beside the President. When President Duterte arrived at Batasan for his SONA, before 4 pm, it was still Alvarez who welcomed him, along with Senate President Vicente Sotto III. 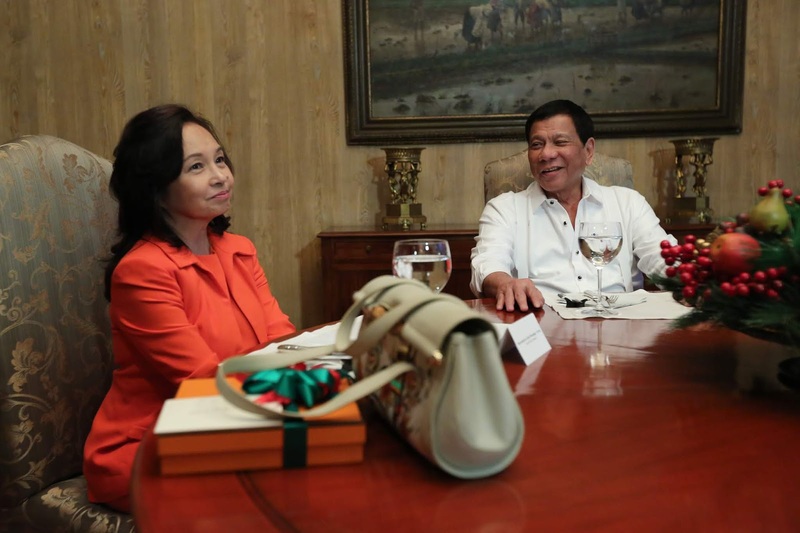 However, Arroyo took her oath of office just hours after Duterte left the session hall, officially making her the House Speaker by then.